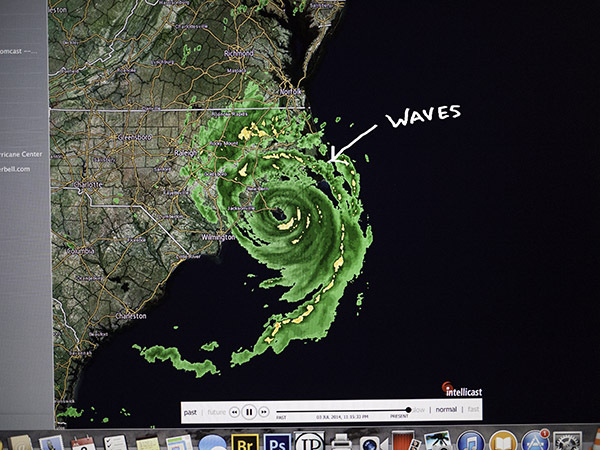 The radar image taken at 11:15 shows the eye of Arthur directly on Cape Lookout, zeroing in toward Pamlico Sound. By 2AM we began to feel the increasing power of the storm. By 4 AM, we were in a full blown hurricane. The morning after Arthur came through, I went outside and felt as if I had been spun around and around. There was an air of confusion and destruction. 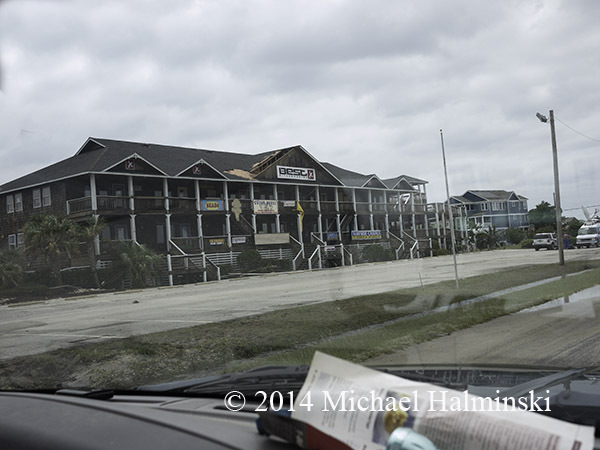 The conditions were not quite on par with Hurricane Irene in 2011, but there was more wind damage this time. I video surveyed my property briefly, then got out to venture about town. 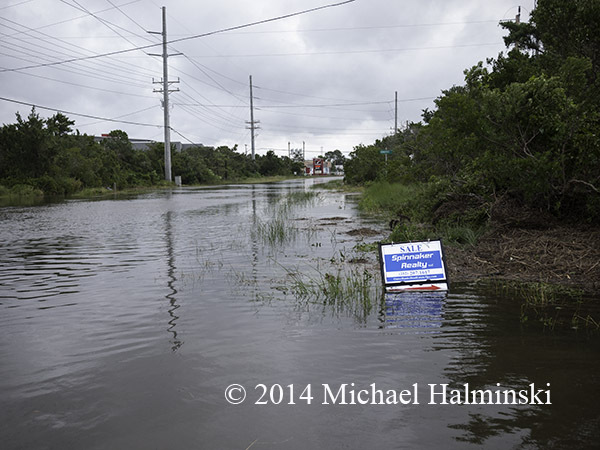 They were telling us this was going to be a slow hurricane season, and that’s a little hard to take right now. So far we’re one for one and counting. 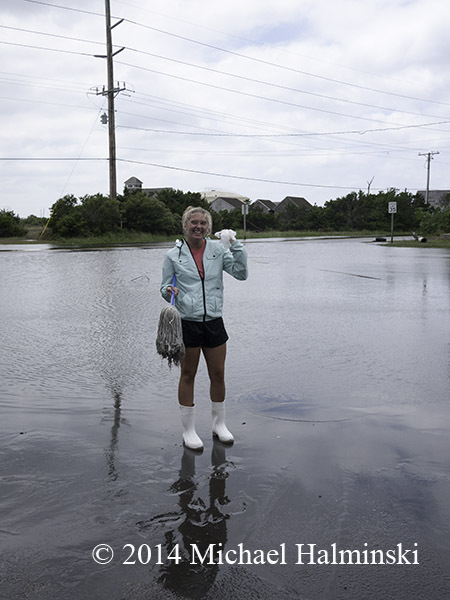 Tropical systems usually don’t affect us this time of year, but cleaning up after a flood isn’t good anytime. My place had fairly little damage considering the event. Like many other residents, I do need to make some minor roof repairs. 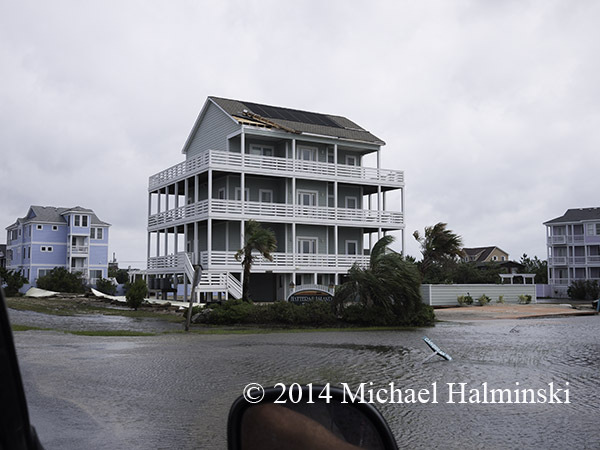 During the height of the storm, the house was getting pelted by branches and pine cones. There was little rainfall, and it was a good thing it moved in and out quickly. 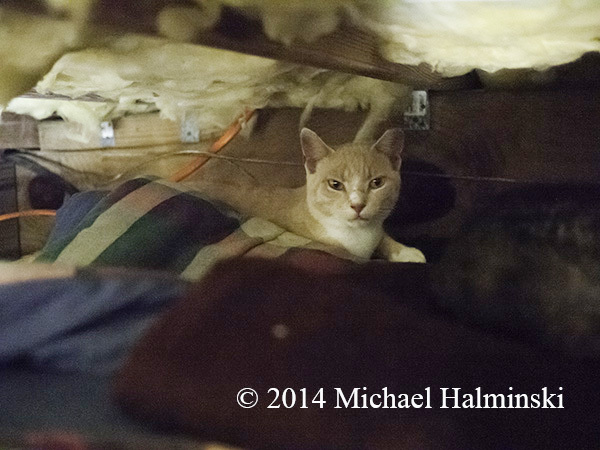 Several weeks ago a couple of young feral kittens began hanging around. 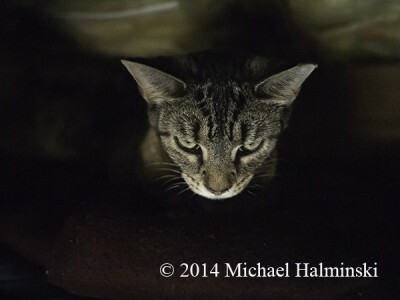 On June 24th we caught them and took them to a TNR clinic sponsored by Friends of Felines. They were fixed, got shots, microchipped and left ear clipped. The release part didn’t quite work out, as they got comfortable here. With the hurricane heading right at us, I put them in an enclosure under the house. At 4 in the morning, the water poured in and they had the sense to climb through an opening to another room where they remained high and dry for the duration. There they stayed all through the following day, and were clearly traumatized but okay. 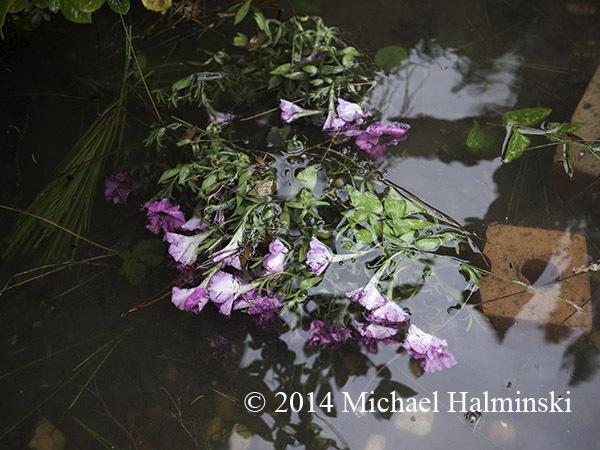 With the salt water intrusion, my petunias didn’t fare so well. 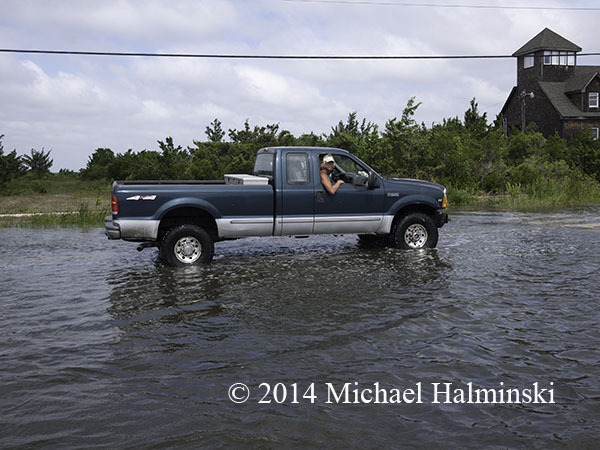 Waterfront property for sale. 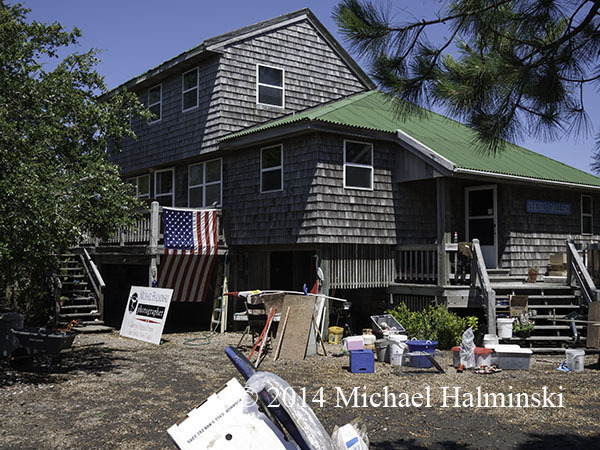 Sorry, Spinnaker Realty. No buyers today. 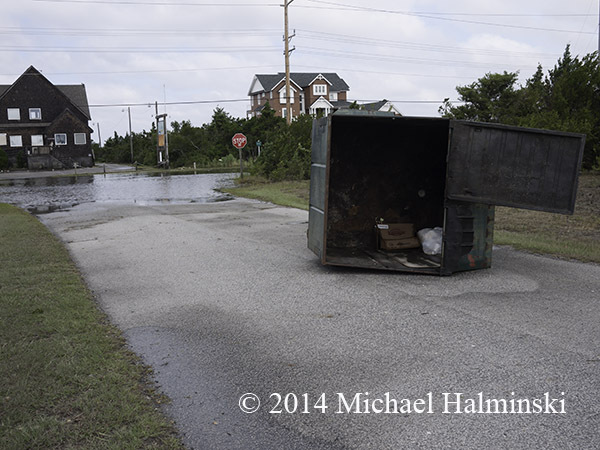 A runaway dumpster blocked Sea Vista Drive. Parking on high ground was at a premium. These vehicles survived. These vehicles at the post office did not… that WAS a nice Mustang. Kayak ecotours took on a new meaning. My friend Tom gave me a lift to see other parts of town. 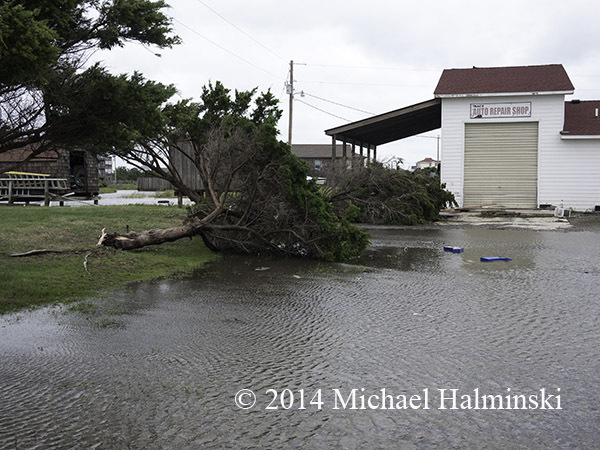 Trees were downed at Mac’s garage. 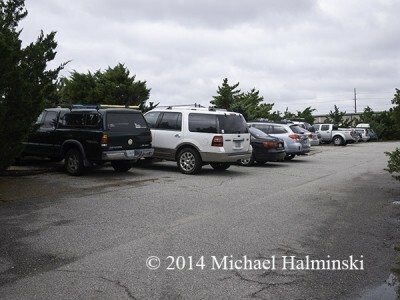 A rack line got caught up in a chain link fence near Kitty Hawk Kites. 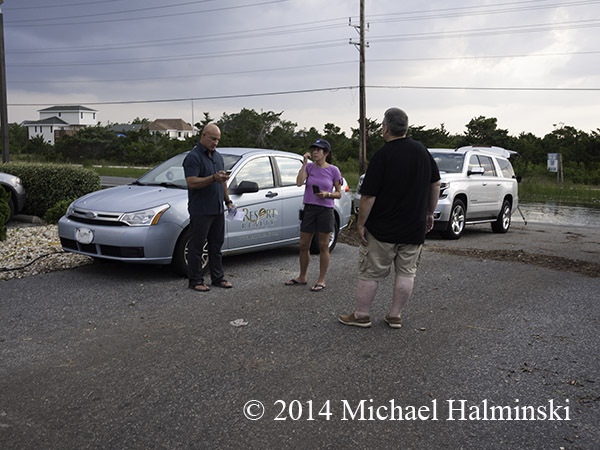 Andy Fox from WAVY News was on the scene making interviews. 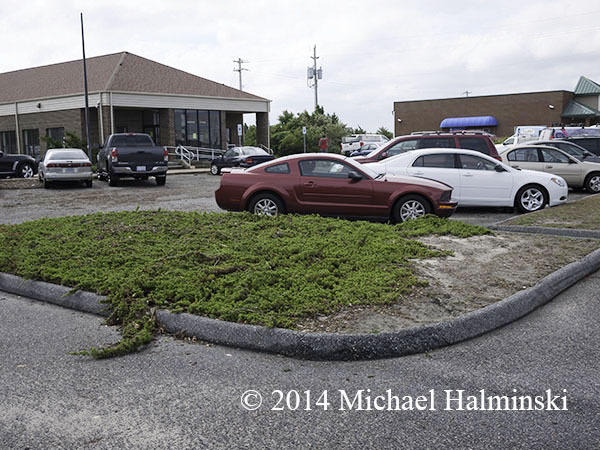 As the daunting clean up began, Scott Caldwell squeegeed the parking lot at Island Convenience. Scott’s daughter Myra, also had a big job and tried to make the most of it. 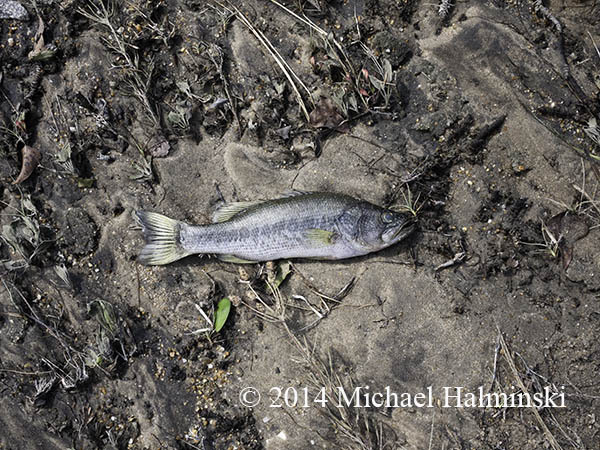 Thousands of fish were washed in with the storm surge, and left stranded. Meanwhile the clean up at home continues to progress. 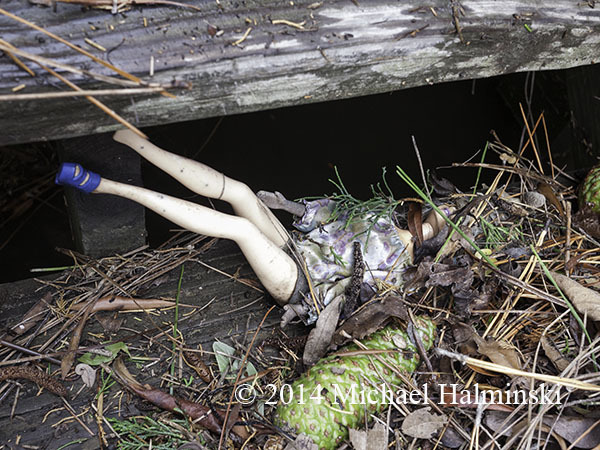 Meet Hurricane Barbie, a new concept doll. 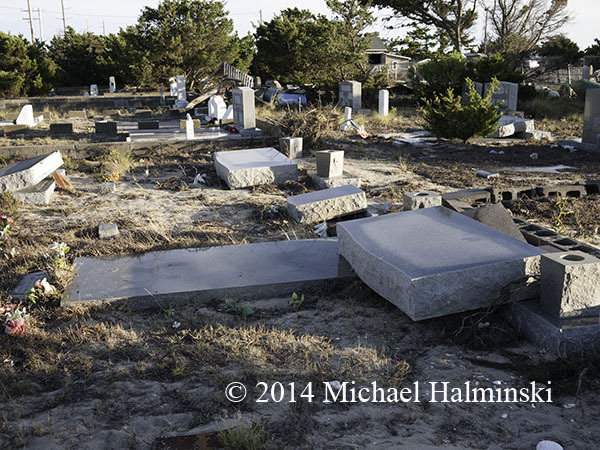 Leaving no stone unturned, Arthur toppled the headstones at the Midgett Cemetery in Rodanthe. 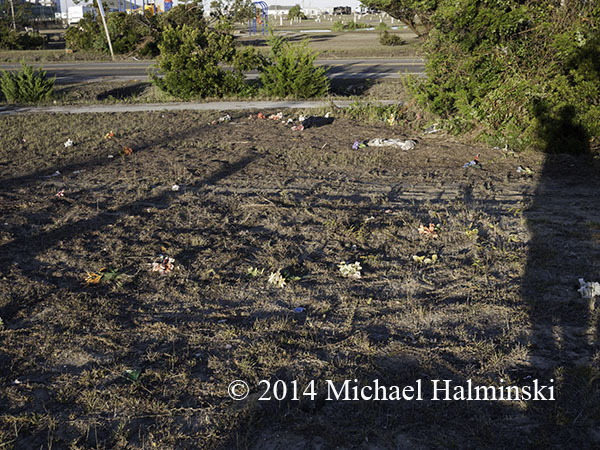 Flowers from the graves are still strewn across the landscape. Just like Hurricane Irene, it’ll take a while to regain some sense of normalcy. 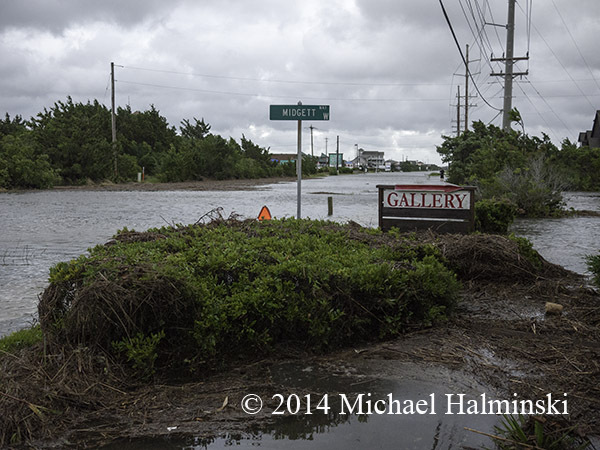 This entry was posted in Outer Banks, Pamlico Sound, storms, Weather on July 15, 2014 by j0jgvm89bj. Time looses meaning in the middle of a storm. I felt disoriented and way out of my norm. Sleep was marginal. I got up several times to look out a window or check the barometer. The pressure dropped and winds accelerated, and for a brief time it fell out dramatically. Then it switched more westerly and picked up to hurricane force again, the Pamlico Sound rising 8 feet in what seemed only minutes. I went to check on things, heading to the gallery door, in the lee of what seemed like a jet engine next to the house. Power lines were sparking like stars in the sky (upper left corner in video). 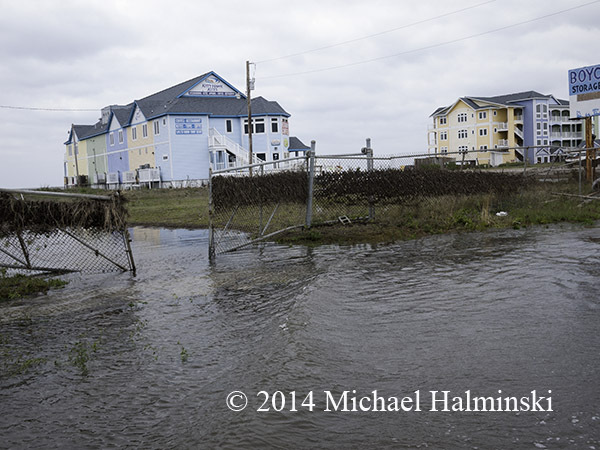 The water came in very fast, bringing in a tide of vegetation and mud. Click link below for video clip. It was shot at 4:45 not 5:30 as mentioned. This entry was posted in Outer Banks, Pamlico Sound, storms, Weather on July 8, 2014 by j0jgvm89bj. I’ve never had a 4th of July celebration quite like this year. It came with a big bang. 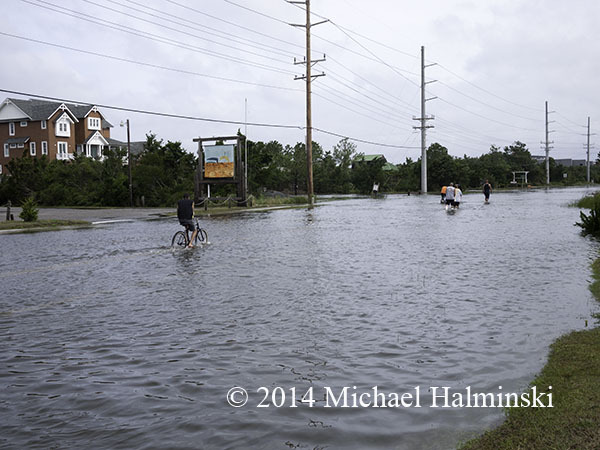 Hurricane Arthur was a little too much, too soon. Winds began to really wail at around 2 in the morning, and by 4 or so they were approaching, possibly exceeding 100 mph. I drifted in and out of sleep, winds buffeting the roof over my head. The wind fell out briefly then switched back to hurricane force, pushing the Pamlico Sound waters across our vulnerable village. My barometer read 978 millibars and gradually began to rise around 5:00 or so. At dawn Arthur revealed her wrath. 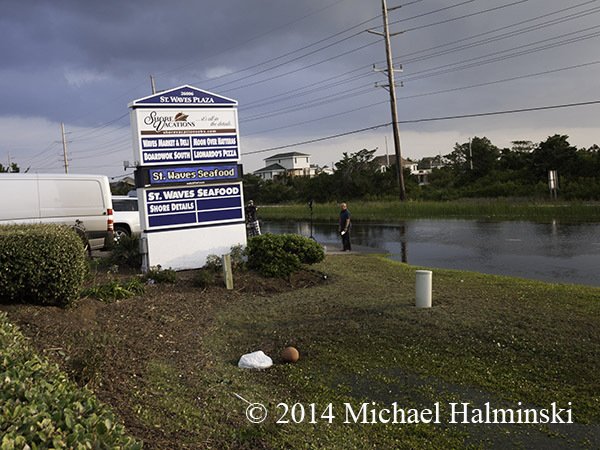 It was a wind and storm surge flooding event, and I knew from experience this would make for an arduous clean up. I’ll continue this blog after I’ve had time to pick up the pieces and regain my composure. 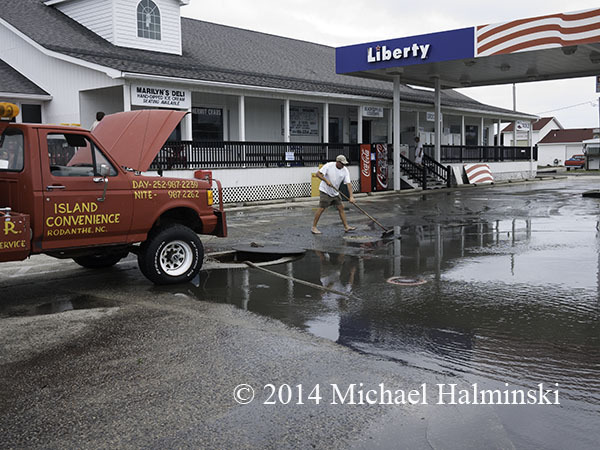 The day after the storm, Denise and I went to the Waves Market for a sandwich from their Deli. The Weather Channel was out front preparing for a broadcast. 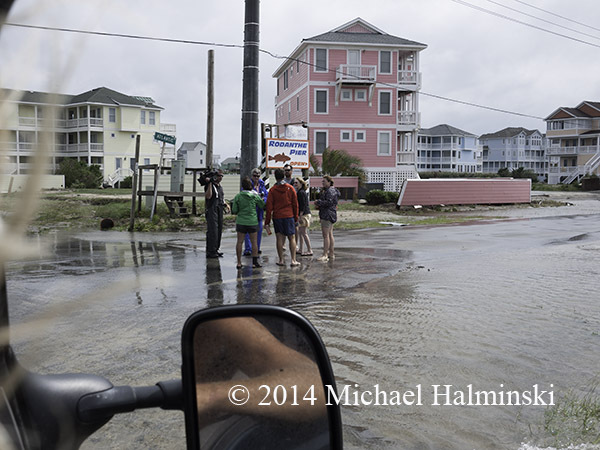 I spoke to an assistant as meteorologist Jim Cantore walked up to say hello. Denise came over and said she had placed our order at the Deli. Jim replied that he’d just eaten there and that “their sandwiches are phenomenal”. That’s an endorsement we agree with. 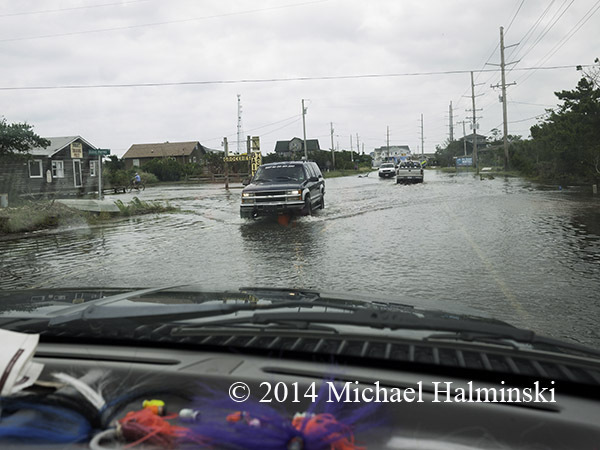 We spoke of storm surges and flooding. Cantore added that this time the hurricane’s speed of movement was our friend. I couldn’t agree more with him. It made the effects much less than it could have been. 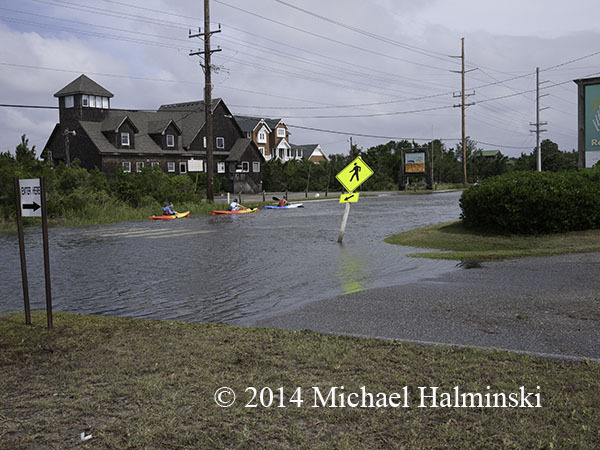 This entry was posted in Outer Banks, Pamlico Sound, People, storms, Weather on July 6, 2014 by j0jgvm89bj.